You may not associate wind energy in India as a viable renewable energy source, yet some energy consulting services will support the use of wind power in India. 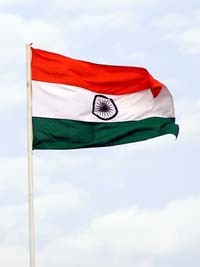 During 2001, India produced around 1000 MW of wind energy making it the third largest user of wind energy in the world. India trails just behind Europe and the United States for the lead in renewable energy production from the winds energy source. For India, renewable energy production such as wind power, plays a huge role in supporting future generations and providing them with a source of clean, low cost electricity. The use of wind turbines globally is on the increase, yet some criticism in areas such as Britain is associated to the placement of some wind farms. Some renewable energy experts are stating the efficiency of some wind farm developments is not economically viable, and the only reason for placement is due to government financial incentives, and meeting energy targets. However you see the use of wind energy in Britain, India or anywhere else in the world for that matter, It is set to play a vital role in generating some of the future electricity demand. The wind is there for everyone, it is renewable and reduces the costs of having to purchase expensive fossil fuels. It is said that between 2020 and 2050, fossil fuel demands will push prices higher than we have ever seen, hopefully this will be the next big step to the more widespread use of renewable energy sources. India is not just focusing on wind energy, and is currently investing in solar energy technologies due to the efficient location of India. The use of solar energy in India has the potential to provide much of the population with not only electricity, but also hot water. The current capacity of wind energy in India stands at around 7,000 MW (2007), this shows how the average annual increase of Indian wind energy is set at a fantastic 1,000 MW per year. Mainly driven by the increase in energy demand, India faces to see a much larger capacity of wind energy production for the future.